Still looking for something to do this weekend? How about the Tacoma Studio Tours! This year’s tour features 55 artists and collaborative studios and allows the general public the opportunity to see the spaces in and tools with which local artists create their work. You can ask questions and purchase one-of-a-kind creations. 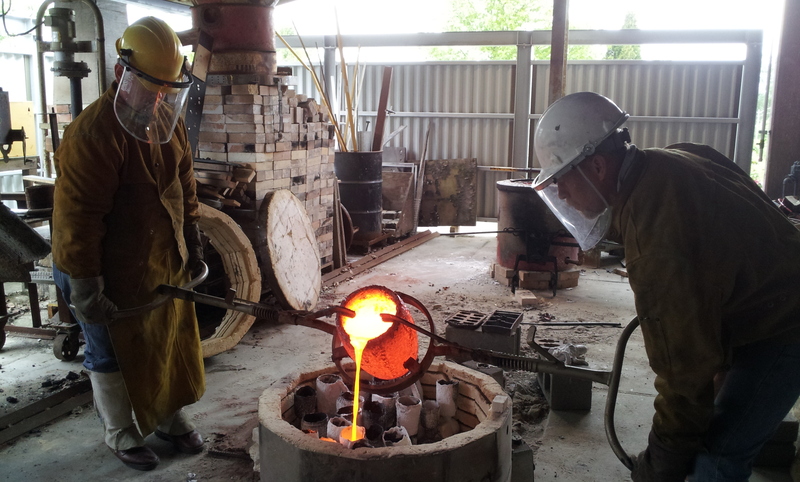 And every studio will feature demonstrations of the artistic process or will have hands-on activities for visitors. Check out ArtAtWorkTacoma.com for the full list of artists, schedule, and an interactive map where you can plot your custom tour course. Manitou Art Center is a group studio where Roberts works and teaches. 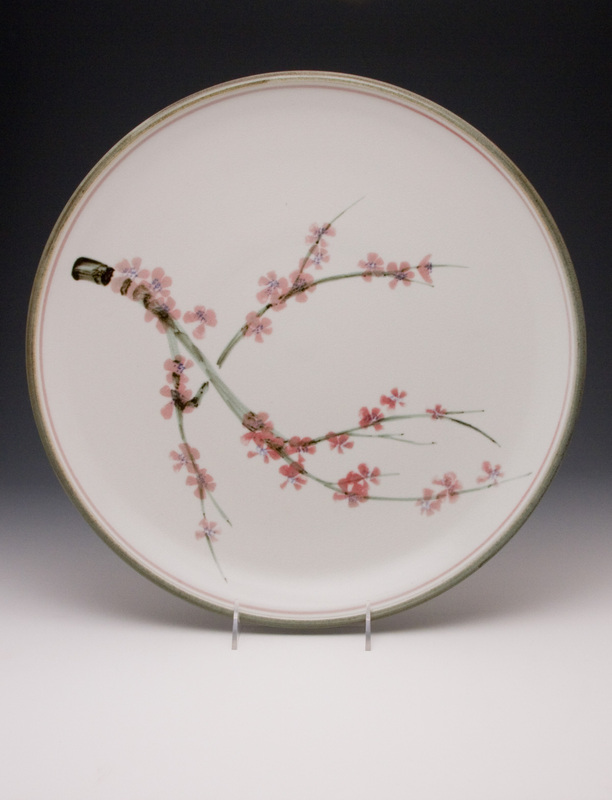 His work is hand-thrown and hand-painted and uses porcelain through high and reduction based firing. His work has an Asian feel of simplicity and grace with a western twist. 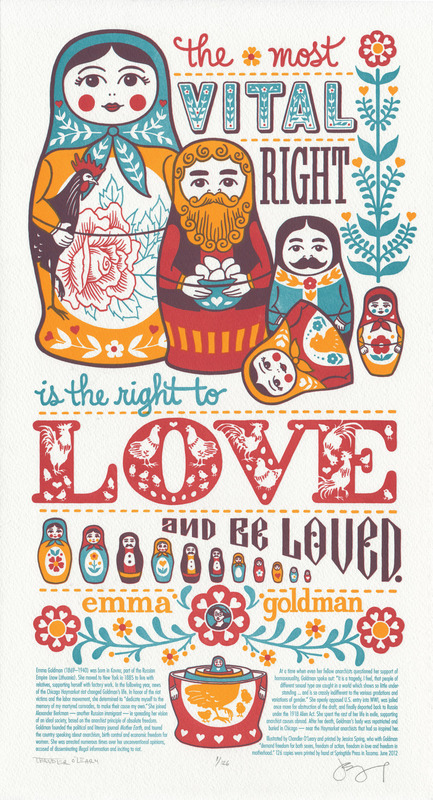 Chandler O’Leary is a graduate of the Rhode Island School of Design, and is the proprietor of Anagram Press, allowing her to make a living by drawing pictures and lettering by hand. She is one half of the collaborative team behind the “Dead Feminists” letterpress poster series, and the playing card designer of the Tacoma Card Deck created by Tacoma Makes. Visit Chandler’s studio to print a small keepsake on an antique Kelsey platen press. 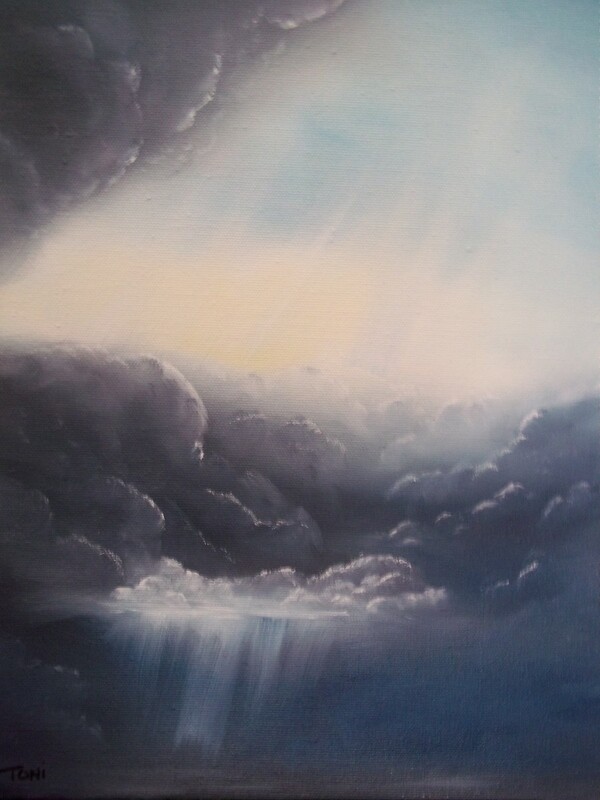 Toni is primarily self-taught and only began her artistic journey 10 years ago. She renders primarily oil paint landscapes. She also enjoys drawing in the classical style using charcoal pencils. Sharing her love of painting and drawing with others allows her to share a part of who she is and how she sees the world around her. 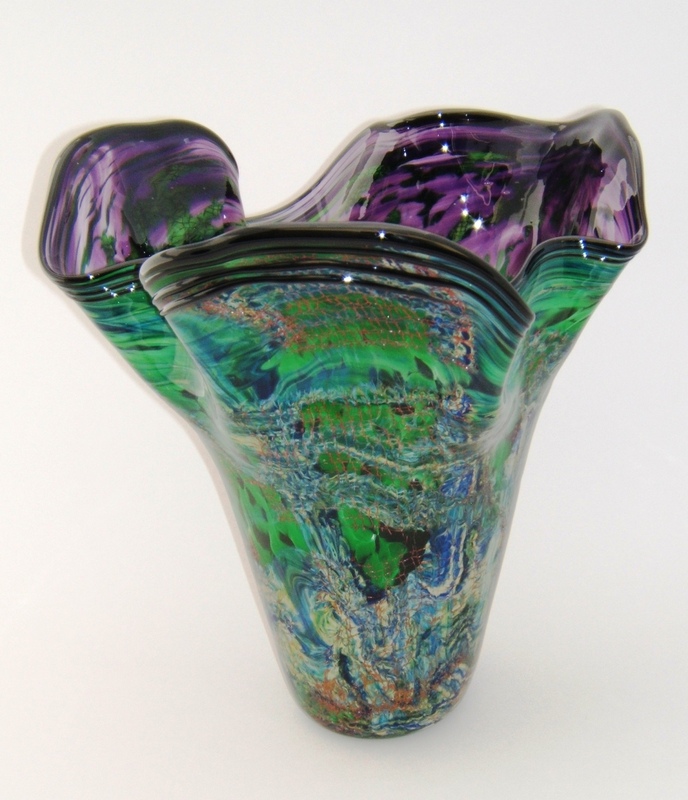 Tacoma Glassblowing Studio was established in 2006 by husband and wife team Mark and Jeannine Sigafoos. This state of the art glassblowing studio and glass gallery offers visitors a close view of how hand-blown glass is made and gives guests the opportunity to try it for themselves. 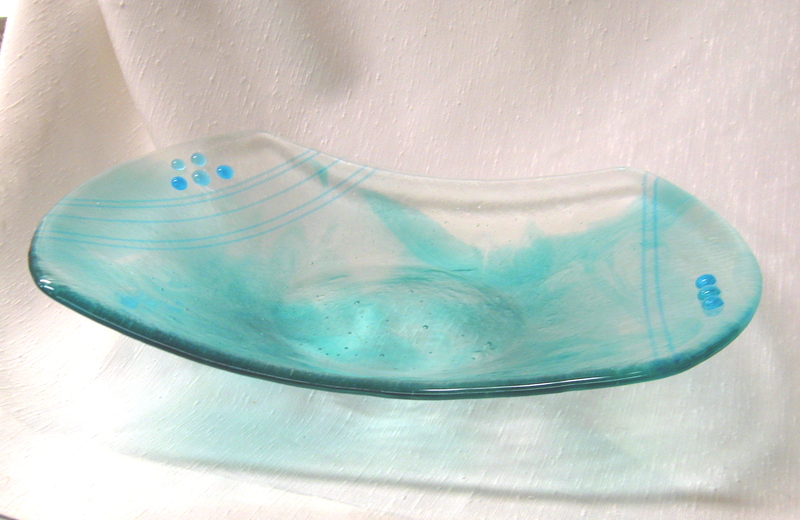 This facility also offers classes, group events, corporate gifts, and features very talented local glass artists in their gallery. 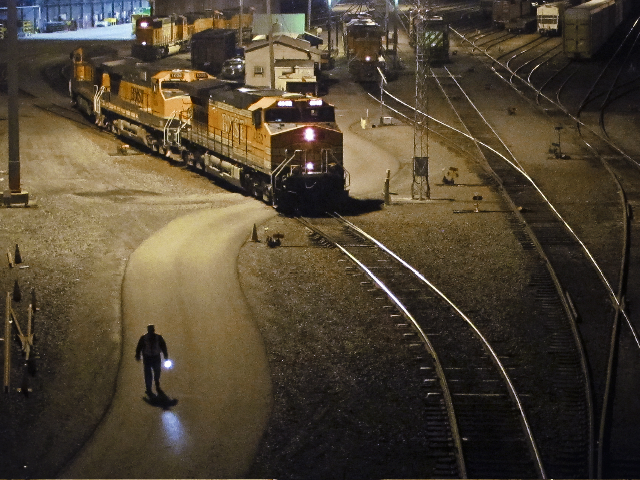 Sharon’s love of warehouses, abandoned buildings, and alleyways is evident in her urban photography which plays heavily with lights and shadows. 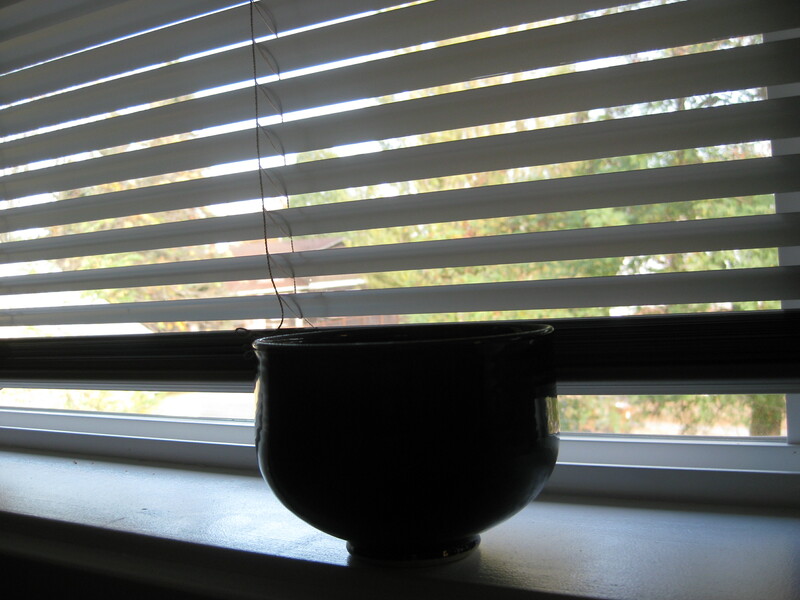 There is a quickness to her work, like a moment caught out of the corner of your eye before it is gone. Visit Sharon’s studio and try out her digital “darkroom”. Sharon will have a selection of unedited photos for you to try your hand at manipulating; make yours as creative, funky, or sophisticated as you want. Finished piece will be emailed to you. 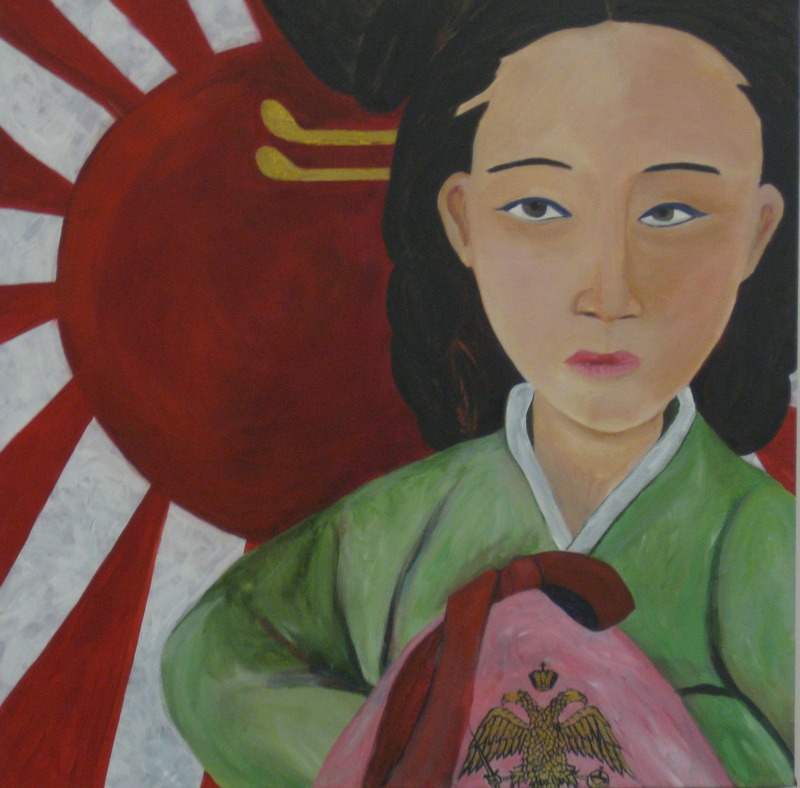 Lorraine Toler is a Korean-American and was born and raised in Tacoma. 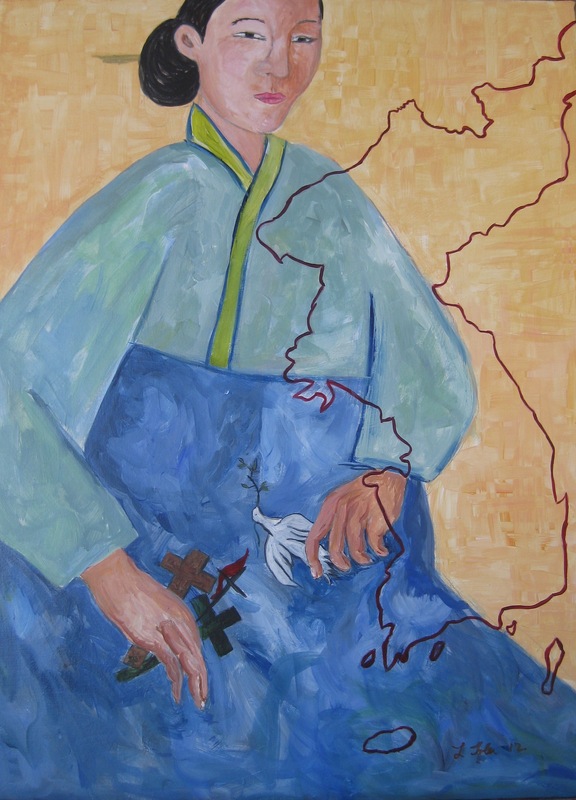 Her paintings are story boards and recount personal, familial, and historical stories through her various series. Lorraine paints with her fellow artists in the JET Tools building. William Turner’s recent works are his elaborations on the work of two Master Painters, El Greco and Velazquez, merging his abstract style with classic themes. 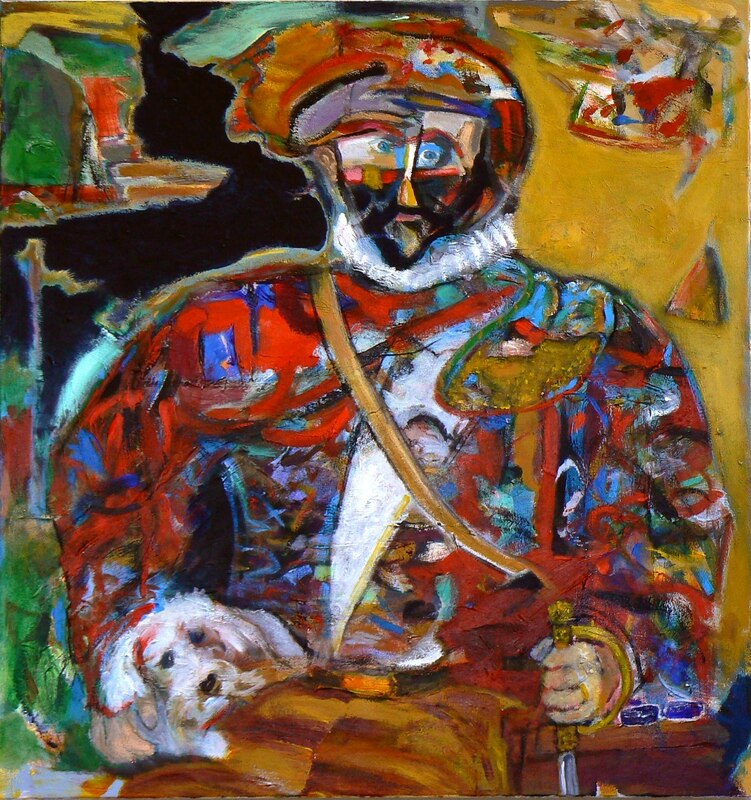 He focuses on the great Velazquez painting “Las Meninas” and El Greco’s “Vincenzo Anastagi”. Working from scant facts about these two artworks, Turner is creating a visual fiction filling in the imagined events of his life. 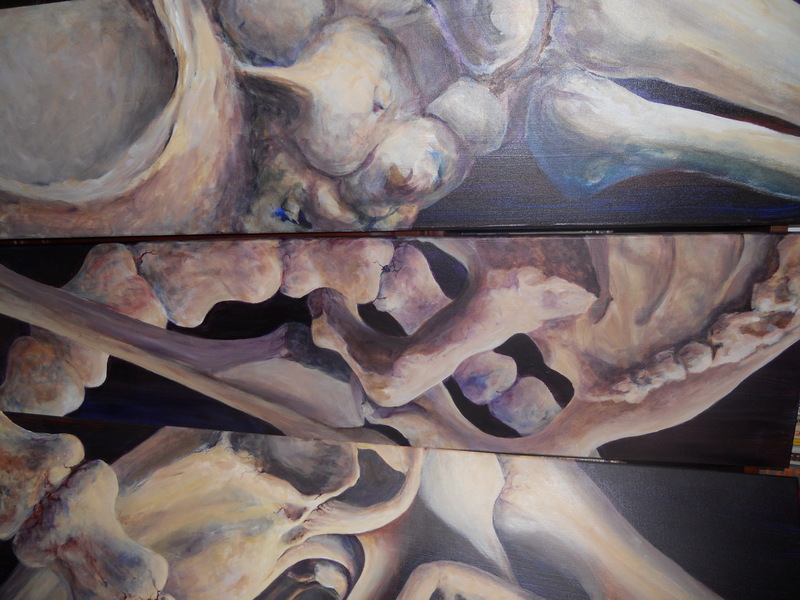 Karin’s “Bones” series has developed out of the encouragement of several local physicians. These paintings create visually pleasing compositions using unusual subject matter. Abstractions of bones and joints are made with an interesting color palette and “tongue-in-cheek” titles. Originally from Vancouver, B.C., Karen has always lived in the Pacific Northwest. 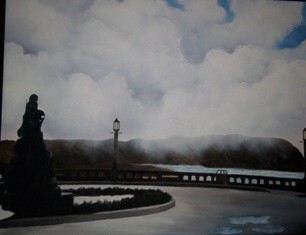 The stunning natural beauty of the area is a profound influence on her work. 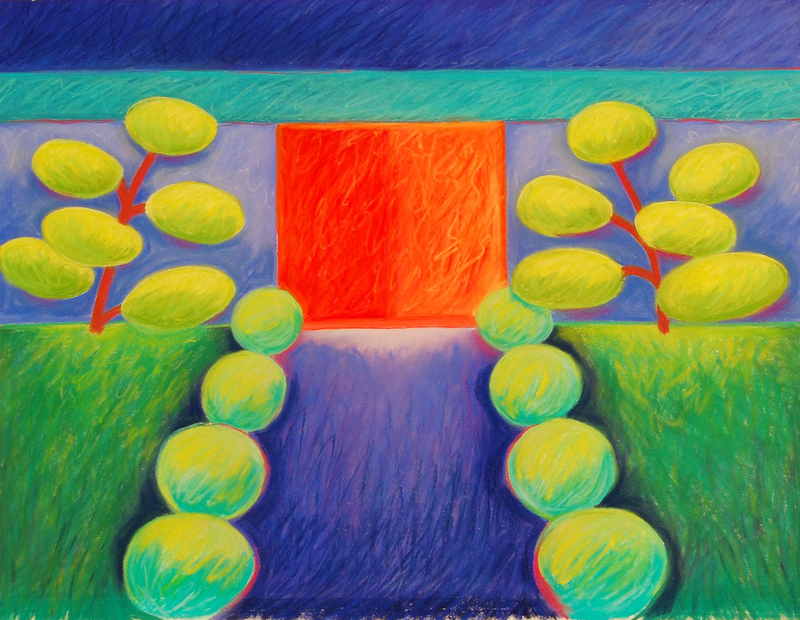 With a preference for pastels, Karen works in a colorful, expressionistic style. 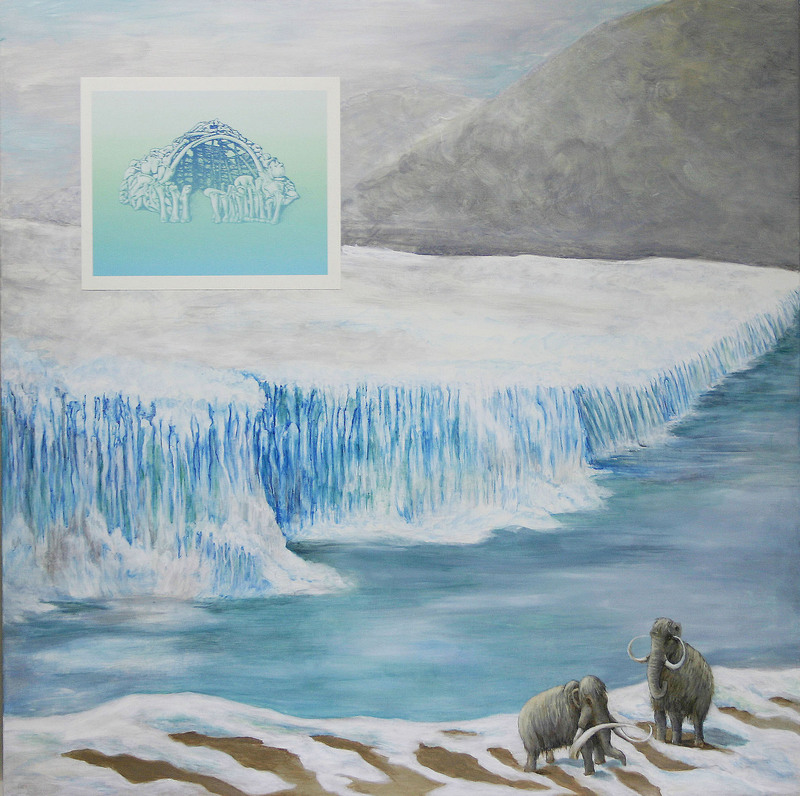 Her subject matter is landscape, and is often populated with a variety of Northern Wildlife, including wolves, foxes, deer, bears and birds. 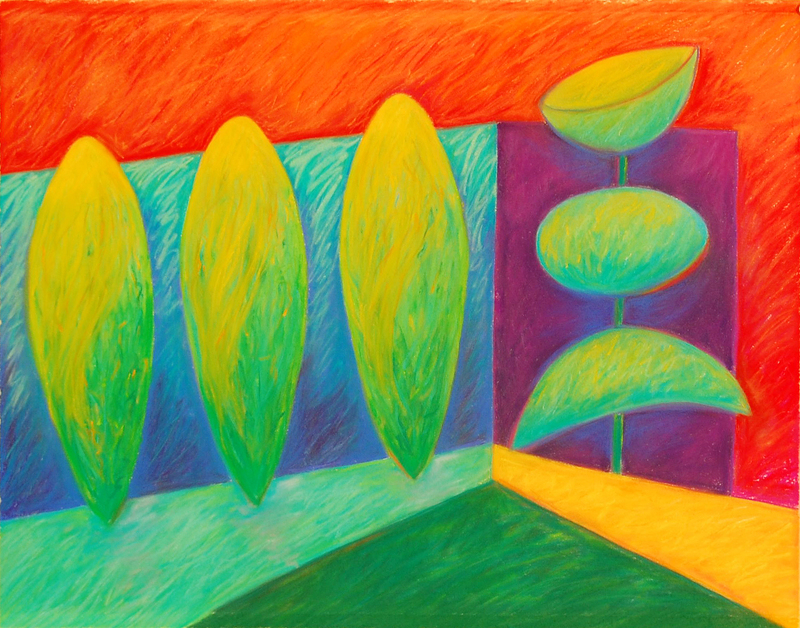 Her most recent pastel series focused on topiary in a mid-century modern setting. 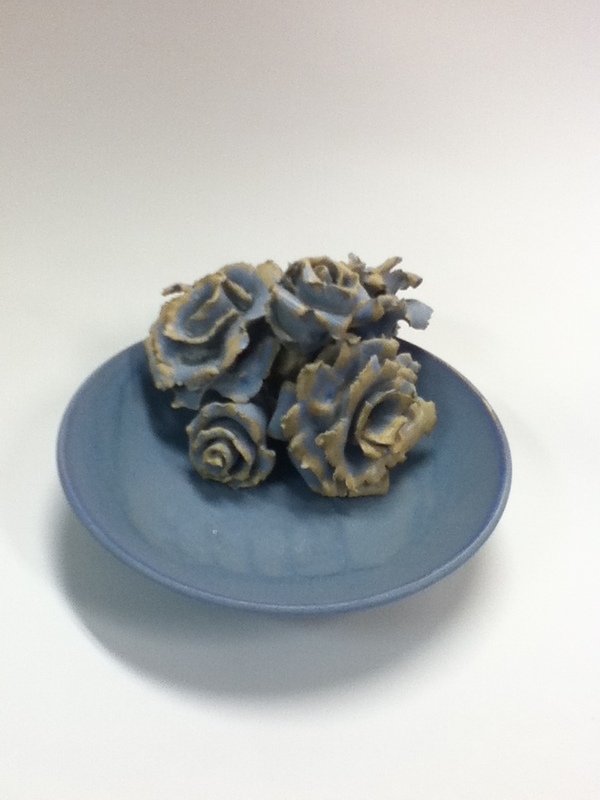 Tour TCC’s metal casting, ceramics, and printmaking studios. See the latest student artwork and try your hand at making your own creation. Join TCC instructor Kyle Dillehay to cast and take home your own iron scratch block tile ($10). 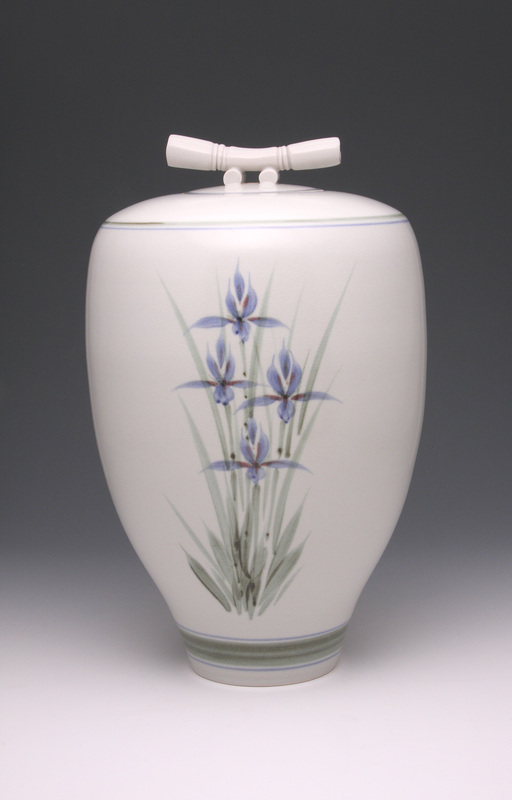 Interested in ceramics? 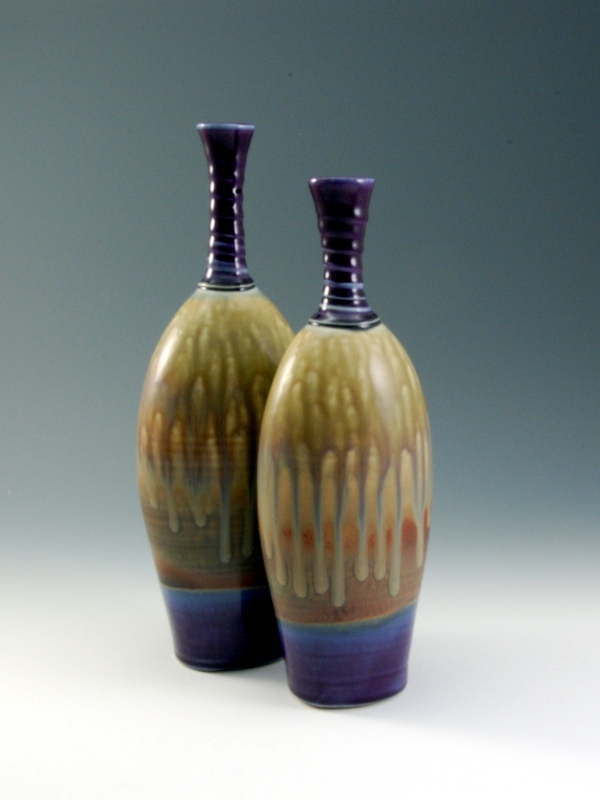 Join Rick Mahaffey in decorating and raku firing pottery ($10). TCC is a community college facility providing a diverse selection of art classes for the community of Tacoma. 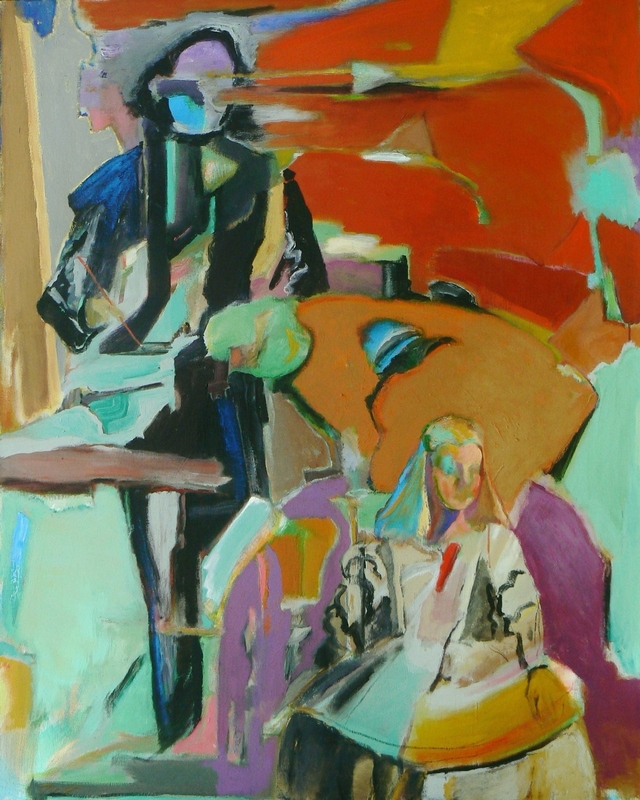 Betty Sapp Ragan has exhibited in regional, national, and international exhibitions. She completed her MFA at Pratt Institute in Brooklyn and moved to Tacoma to teach at the University of Puget Sound. She is interested in architecture as it relates to the land and the culture. Betty is fascinated with the questions of why we build what we do, and why we place these buildings in their specific locations. 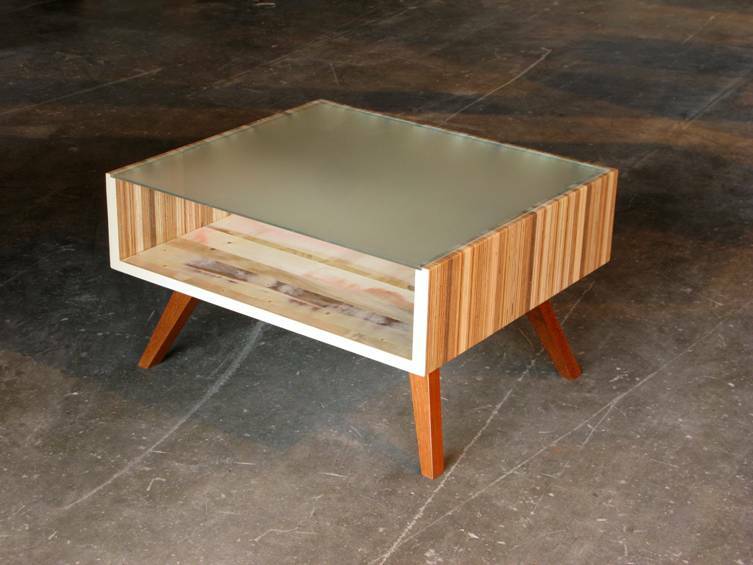 The furniture Steve designs and builds incorporates two passions: The first being the creative process itself; the second is the thoughtful and respectful use of our planet’s resources. Creatively, he strives to apply equal weight to form and function. 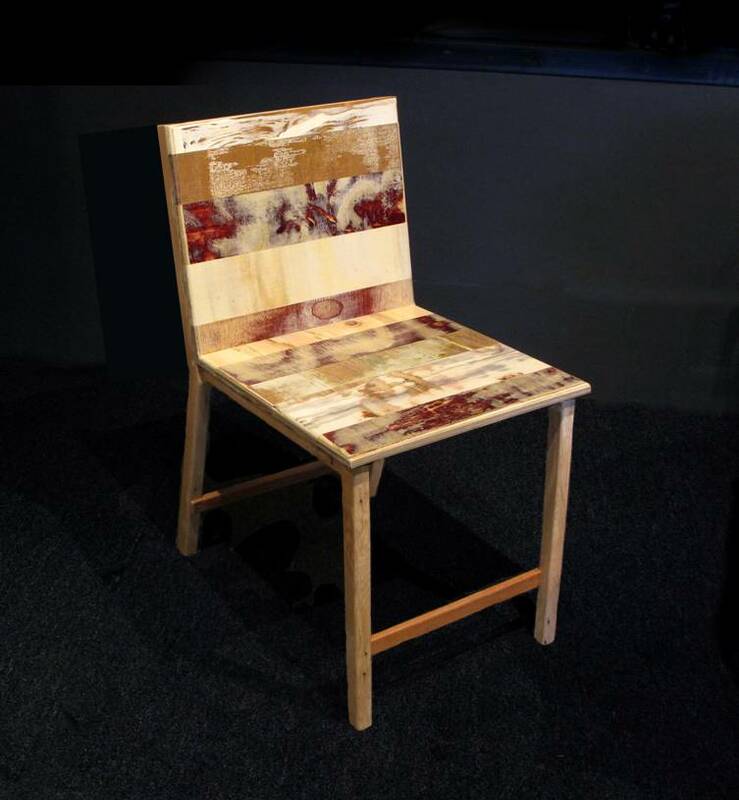 Using recycled and repurposed materials is both a push and a pull, it forces him to find a unique expression for these sometimes odd and limiting pieces of raw material. It is at the same time challenging and incredibly stimulating. Tacoma Opera opens their 2012-2013 Season with Mozart’s Cosi fan tutte.Unquestionably Mozart’s most intimate and personal opera, Cosi fan tutte is a domestic comedy about real people dealing with a very unusual situation. Two lovely, but naïve young women are tricked and manipulated by their lovers into switching partners; however, the women somehow maintain their innocence and dignity in spite of the men’s outrageous shenanigans. Mozart’s musical genius shines through and permeates this opera with a sunny cheerfulness that is bound to make you beam. With this production Noel Koran will be making his stage directing debut for the company. The assembled cast includes several Pacific Northwest residents, including Kenmore, Washington native, soprano Abigail Mitchell who will be singing the role of Fiordiligi, and soprano Jenny Shotwell, who returns to Tacoma Opera this year as Despina. Mezzo-soprano Caitlin Mathes will debut with the company in the role of Dorabella. Completing the cast is bass baritone Rubin Casas as Don Alfonso, the cynic who sets the whole story in motion; tenor Jorge Garza as Ferrando and baritone Jose Rubio as Guglielmo, the two lovers of Fiordiligi and Dorabella. Leading the production musically, will be Maestro Keith Clark, who is making his Tacoma Opera debut. Maestro Clark, the Artistic Director of the Astoria Music Festival, has recorded extensively. He currently divides his time between Southern California, Austria and Oregon where he also founded the Portland Annual SummerFest Opera. In a first for Tacoma Opera, Maestro Clark will be leading the Tacoma Symphony Orchestra in this long-awaited collaboration between these two premiere regional performing arts organizations. Cosi fan tutte will be sung in Italian with English surtitles projected above the stage. There will be a free lecture about the opera given by Dr. Norman Heimgartner an hour before each performance. The Tacoma Arts Commission is proud to support Tacoma Opera and Tacoma Symphony Orchestra through the Arts Anchor Fund program. As All Hallow’s Eve looms, we approached Chuck Knigge, a Northwest artist, illustrator/cartoonist, and game designer for his thoughts on the horror genre. “As an artist, I think the best thing one can do is make horror that speaks to you personally. I find horror comedy most appealing, and I try to always bring a hint of something goofy and self aware to my horror work,” he says. Knigge, a UI artist behind the Guild Wars 2 video game, uses tongue-in-cheek to great effect. 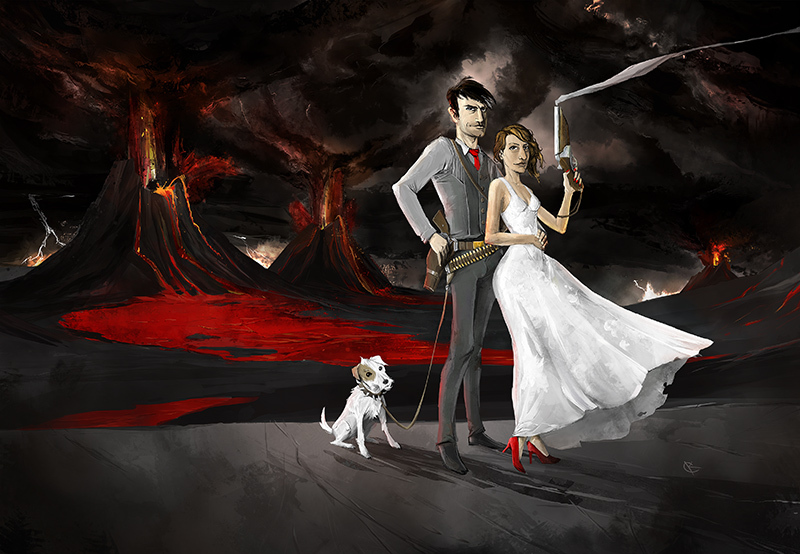 He created Armaweddin, a dark, digital tribute featuring his fiancee, to celebrate “our apocalyptic-themed wedding.” Known primarily for his comic and poster illustration, the artist these days is translating his skills to large-scale paintings and drawings. 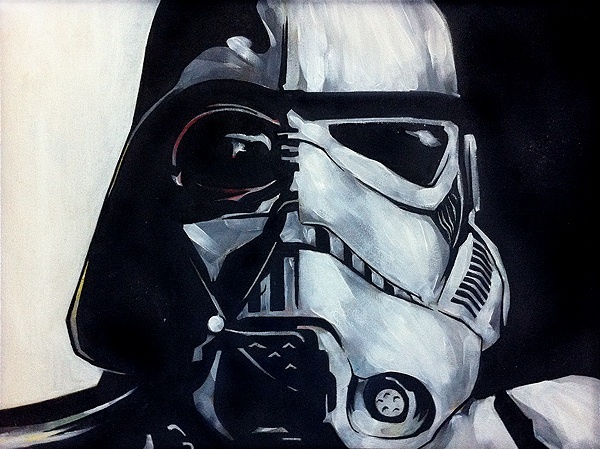 You can check out more of his work at www.seakae.com and http://seaknigge.blogspot.com/. Better yet, meet him on the Tacoma Studio Tour, November 3-4. 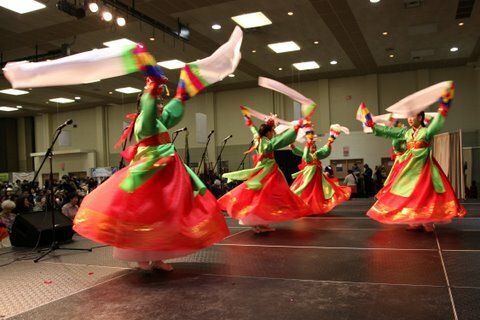 Asia Pacific Cultural Center’s New Year Celebration. One of the many community-based projects which have been funded through Arts Projects. 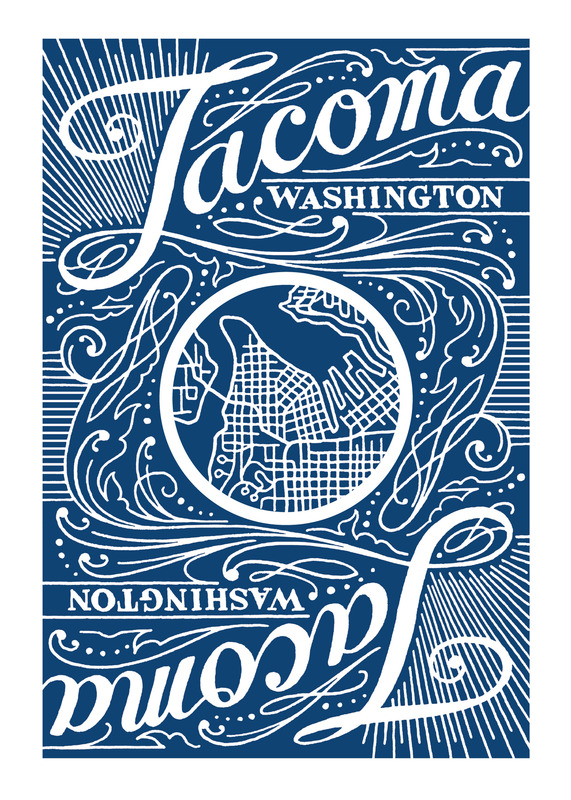 The City of Tacoma is now accepting Arts Projects funding applications from eligible organizations producing publicly accessible arts programming within Tacoma city limits in 2013. Arts Projects funding ranges from $1,000 to $5,000 and is used to support community projects that focus on the arts. The application deadline is 5 p.m. on Dec. 6, 2012. Applicants are encouraged to attend a free workshop, which explains and addresses questions about the application and funding process. The workshop will be held Nov. 8 from 12 p.m. – 1:30 p.m. at the TacomaMunicipalBuilding, 747 Market St., Room 434. Fab-5’s L.I.F.E. 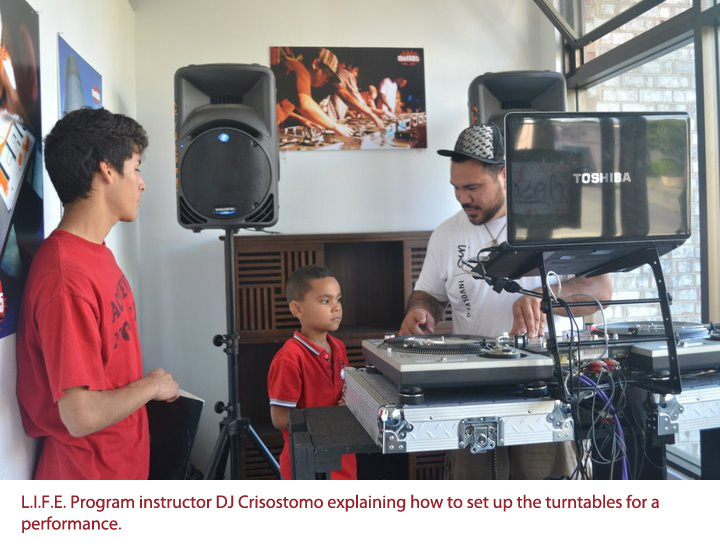 Program instructor DJ Crisostomo explaining how to set up the turntables for a performance. 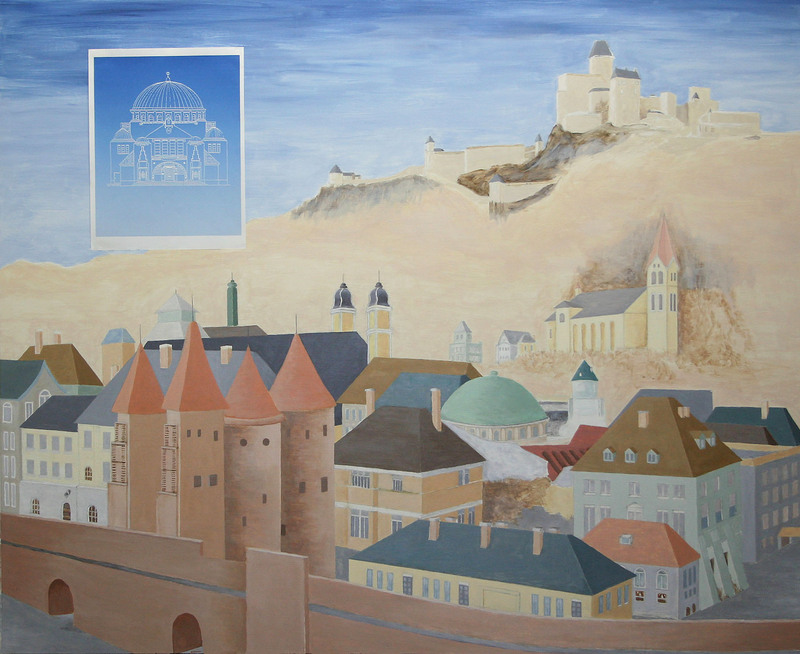 One of the programs which was supported through Arts Projects funding in 2012. Eligibility extends to private non-profit agencies with a 501(c) designation; organized groups of community volunteers (such as a business district or neighborhood council with an advisory body, business license and organizational bank account); and for-profit businesses with an arts mission proposing a unique project designed specifically for public benefit that is not for profit. Applicants are required to have offices within Tacoma or if they have no office, a majority of the applicant’s activities must take place within the Tacoma city limits. Other eligibility requirements apply; see guidelines for complete terms. 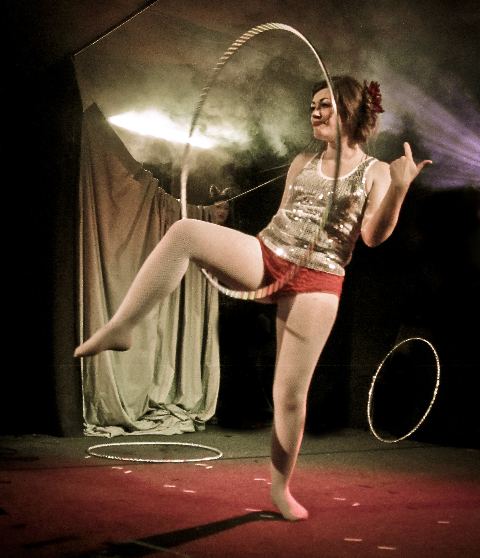 Funding for Arts Projects is determined through a competitive application process. Actual contract amounts will be based upon availability of funds and the review of each application as measured against evaluation criteria detailed in the guidelines. No funding is guaranteed until official approval of the budget by Tacoma City Council. Organizations interested in applying for Arts Projects funding can read about past funded projects and download the guidelines and application form at www.tacomaculture.org/arts/funding.asp. 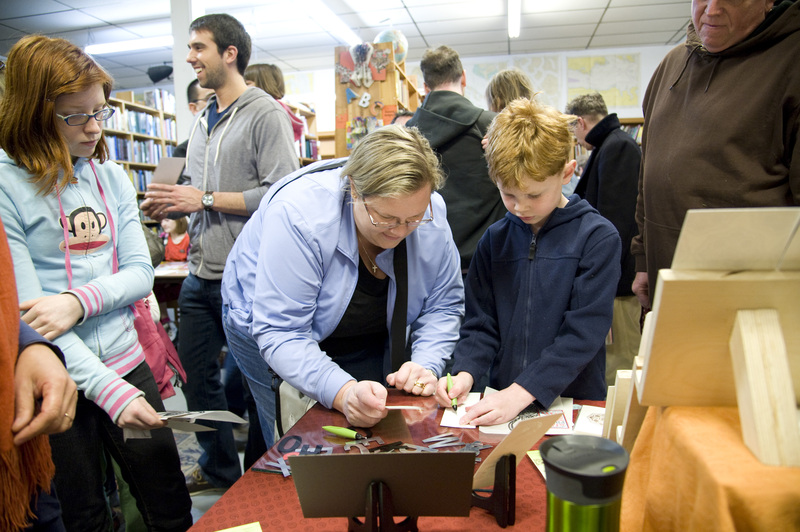 King’s Books’ annual Wayzgoose event. One of the many programs which has been funded through Arts Projects. Photo by Chris Tumbusch. 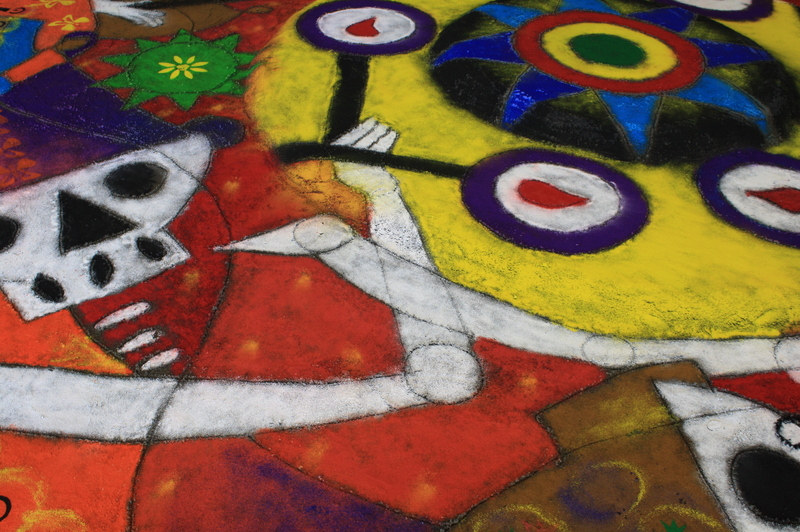 The Día de los Muertos Festival is on now through Sunday, November 4 at Tacoma Art Museum! Centro Latino and Proyecto MoLÉ are joining with TAM to celebrate the Day of the Dead with more than a week of fabulous Latin American cultural activities. Now in its eighth year, this popular event, which will culminate in a free community festival on November 4, will welcome more than 3,700 visitors with art, live music and performances, and several hands-on art-making activities for all ages. You could decorate a beautiful sugar skull, watch a performance of Aztec dance, and taste the zesty flavors of Latin cooking. Día de los Muertos is an ancient celebration of the eternal cycle of life. Today, the holiday combines centuries of indigenous practices with contemporary traditions and spiritual beliefs. Observed in Mexican and other Latin American communities on November 1 and 2 (All Saint’s Day and All Soul’s Day), it is a powerful, symbolic way to honor relatives and friends who have died. 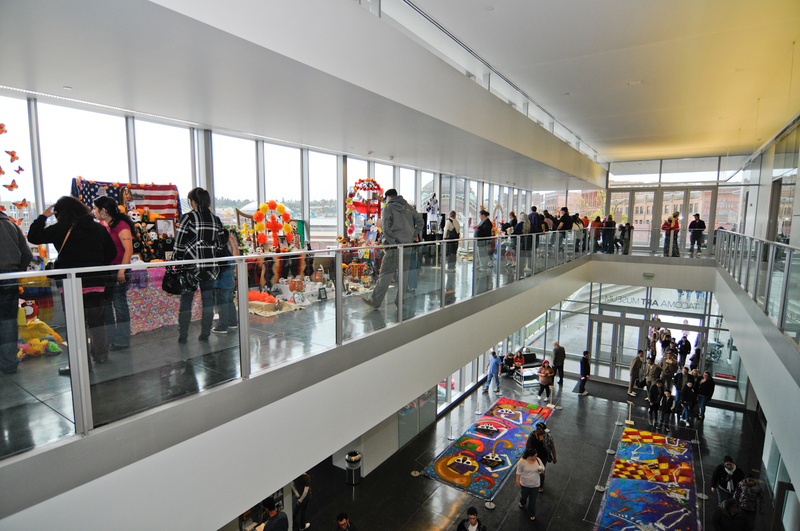 The TAM lobby features a festival centerpiece – a colorful, round, floral-inspired tapete (sand painting), with 27 ofrendas (altars) installed by community members in the atrium. This year’s tapete is an exploration of flowers in honor of the marigolds so important to the Día de los Muertos celebration – as well as the upcoming exhibition Andy Warhol’s Flowers for Tacoma, opening November 3. We are exactly one week away from our favorite time of year – Art at Work Month. What is Art at Work Month? It’s the entire month of November chock-full of hundreds of arts and cultural activities for you to participate in. Art at Work Month is dedicated to showing off the very best about our community and we want you to be a part of it. Jennevieve Schlemmer is an artist that believes discovery and delight are the most important aspects of being creative. 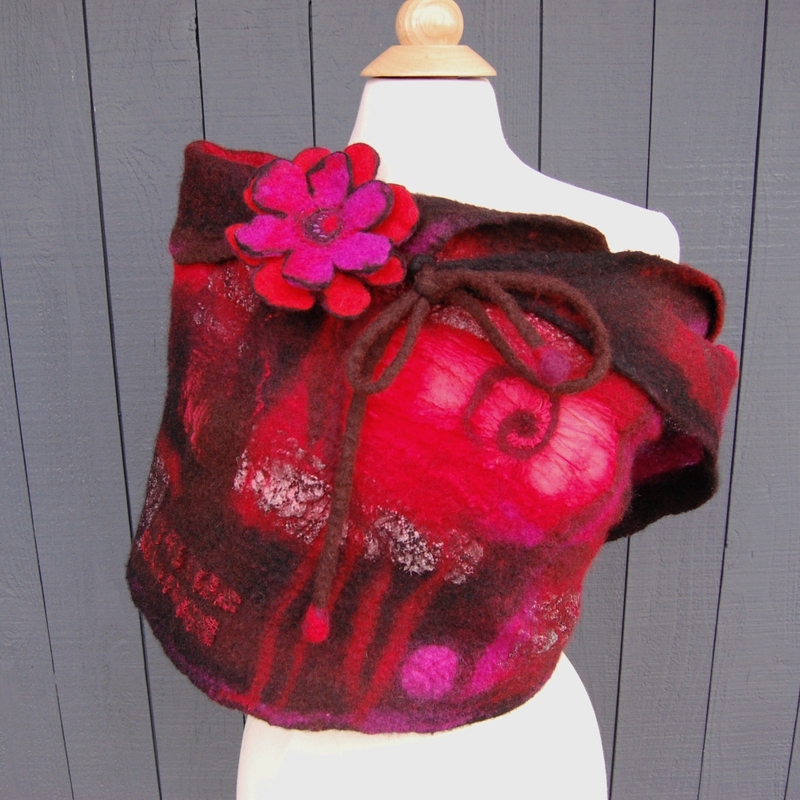 With a background in sculpture and mosaic art, Jennevieve has recently been obsessed with creating sculpture and wearables with wool through both traditional wet felting and more contemporary needle felting techniques. 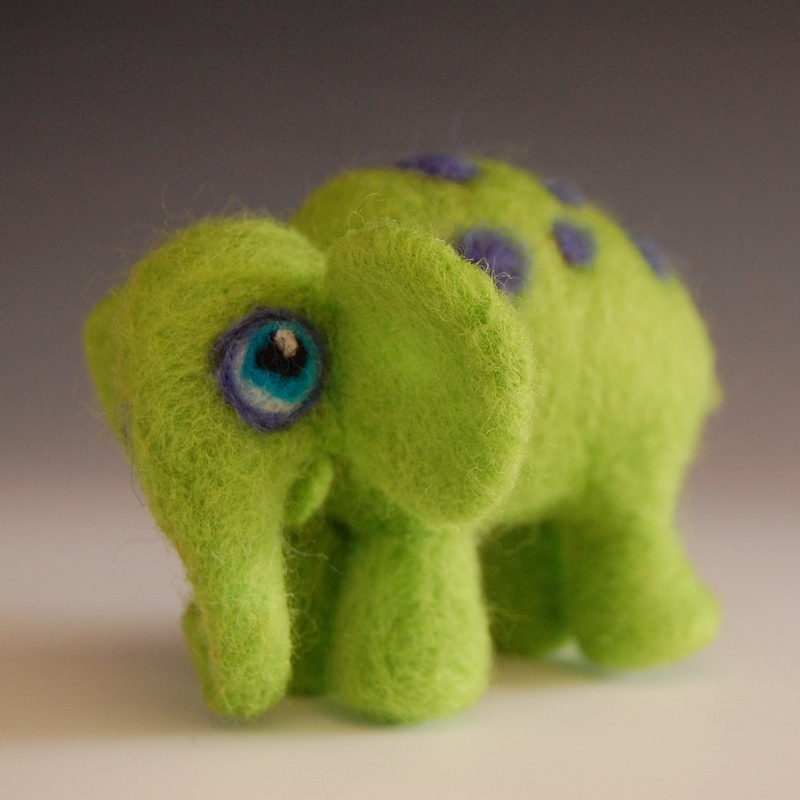 During the studio tour, she will be demoing needle felting techniques and anyone over 10 is welcome to try too! 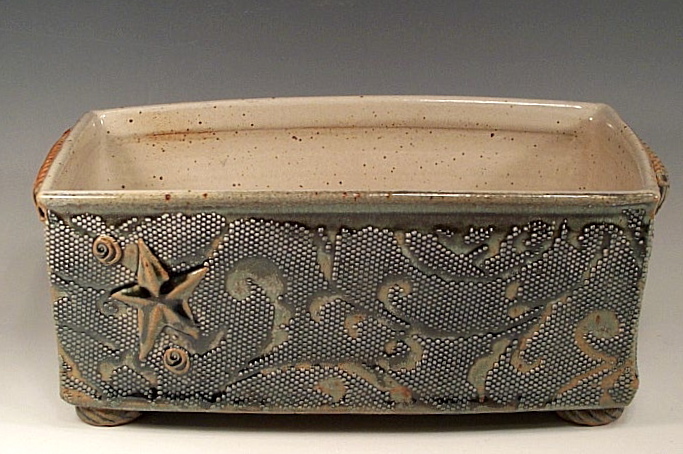 Bringing beauty into peoples’ lives with his pottery has been Mark’s interest for over 30 years. 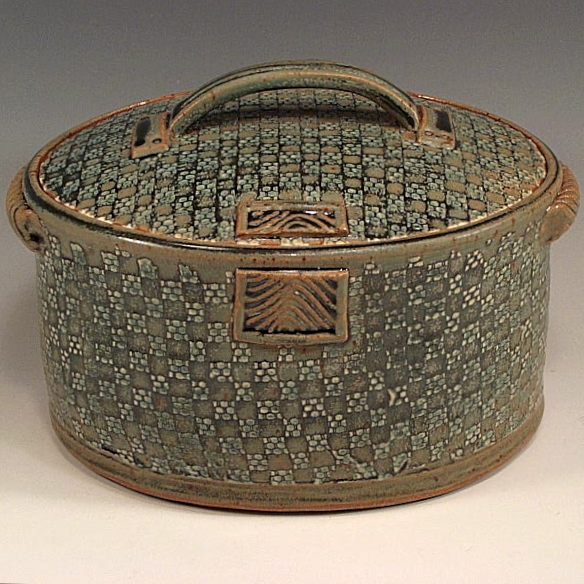 His intent has been to make creative functional pottery to be enjoyed and used in daily living. He loves to share his passion for making ceramic art with others through pottery classes at his studio, Throwing Mud Gallery. During the studio tour, Mark will be demonstrating wheel throwing and hand building techniques. 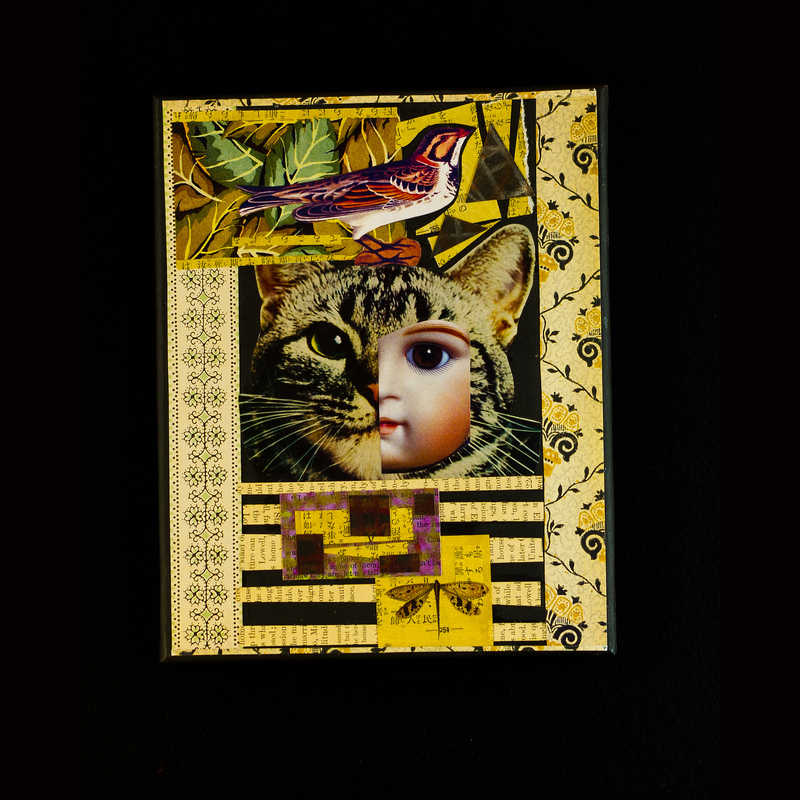 For as long as she can remember, Lynne has been making art in a variety of mediums including paper, paint, fabric, metal, and found materials. 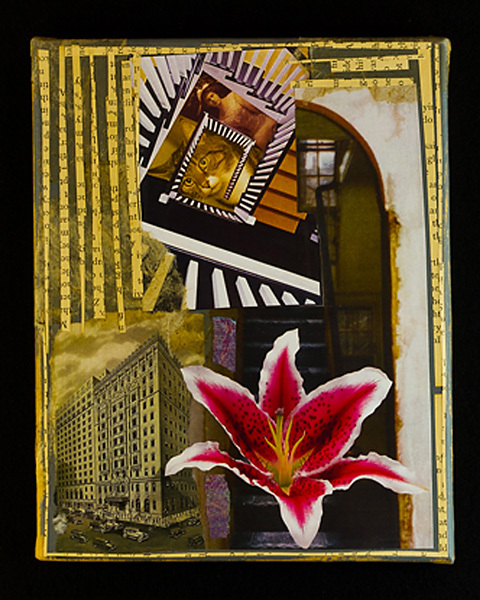 Her studio is filled with paintings, collages, photo montages and assemblages. Nothing is safe from being made into art. 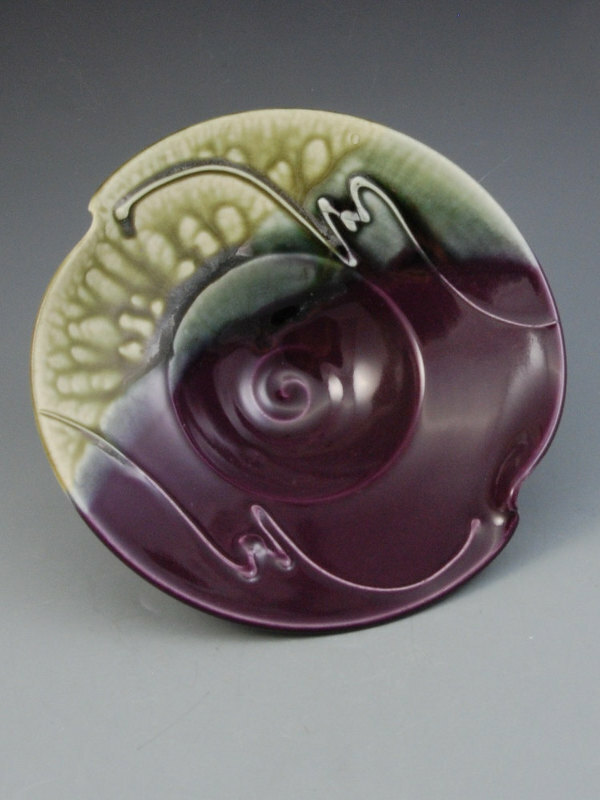 Retha owns and manages three of the studios at Manitou Art Center; operates the White Dove Gallery; teaches fused glass, stained glass, and mosaics; is Artist in Residence for Empty Bowls; and serves on the Lakewood Arts Commission. She shares her passion for art with the community, promoting and showcasing local artists and serving as advisor/instructor to many organizations. 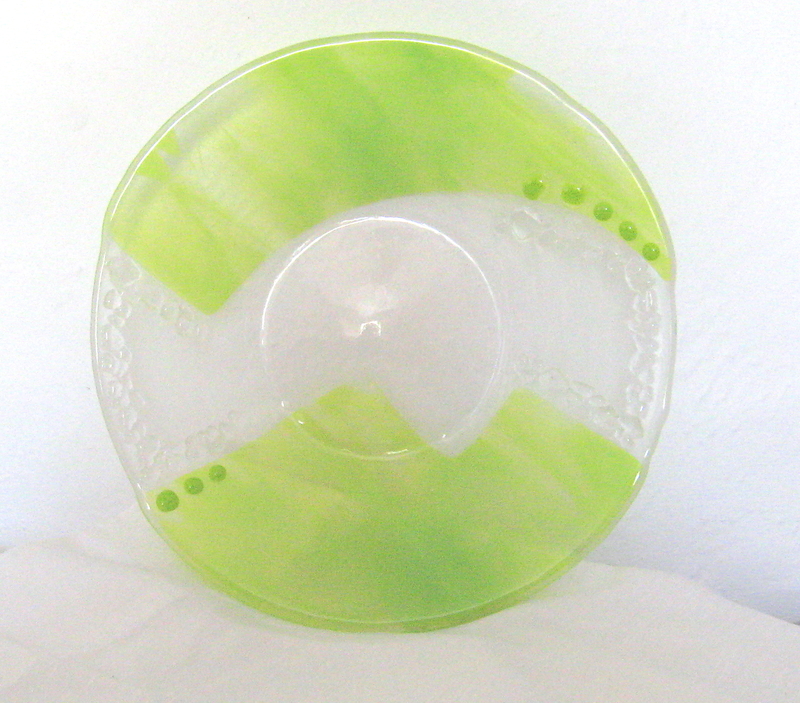 During your Studio Tour visit make glass holiday ornaments and small clay projects. 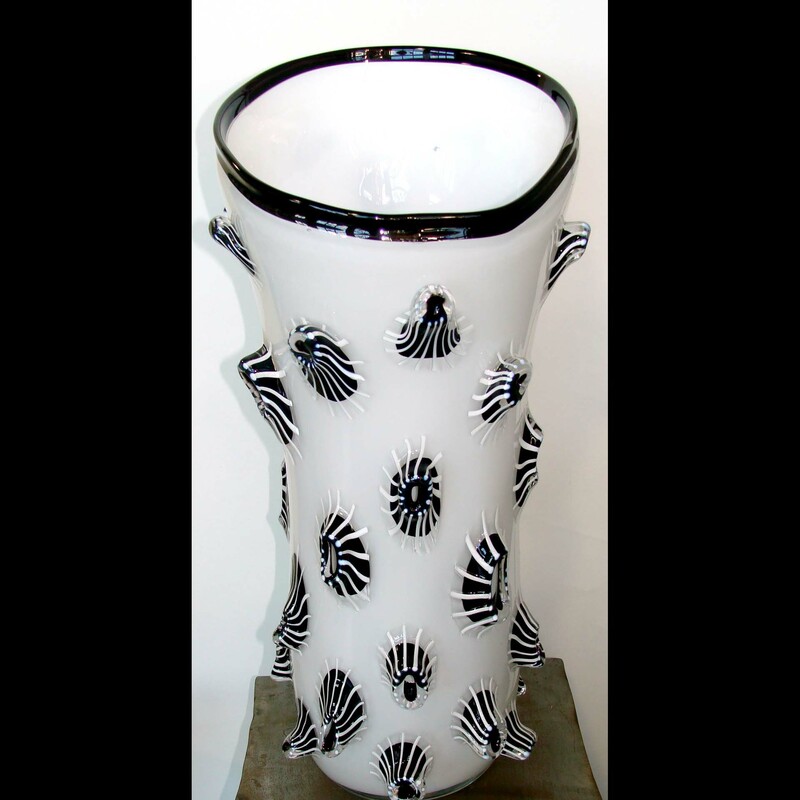 Potter Jenifer Davis’ passion is to create irreverently shaped functional sculptures and pots. The hand-thrown process leaves a good deal of the outcome to fate and Jennifer revels in this serendipity stating, “the clay is happy in its natural state, with a tender yet firm hand you can convince it to do what you want.” Randomness is part of the transformation, and the best part is seeing what emerges after the kiln is opened. Roberta Lowes – Fibers Etc. Fibers Etc. produces one-of-a-kind textiles that are a response to both the color and texture that surround us in our lives and the fine textile traditions of other cultures. 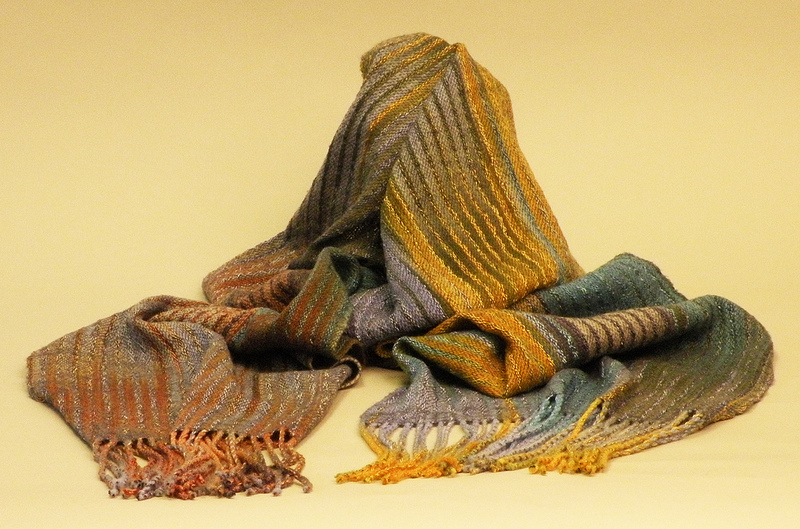 The result has been a blending of hand dyed, hand-woven and hand-knit fabrics with other beautiful fabrics from around the world. The line includes wearables such as vests, jackets, coats and accessories of all kinds including scarves, shawls, hats, and bags. 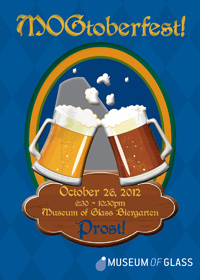 Art glass meets craft beer at MOGtoberfest, a new event hosted by the Museum of Glass (MOG) on Friday, October 26, 2012 from 6:30-10:30 pm. Foot-stomping oom-pah-pah music will usher in this celebration of the autumn season, local brews and glass art; the event will also feature a buffet of traditional German fare, and glassblowing demonstrations by Fulcrum Gallery owner/artist Oliver Doriss. The collection of 10 vessels will be unveiled at the event. Each growler is valued at $750 and will be available for purchase in the museum store. One of the growlers will be given away as the prize for a drawing at MOGtoberfest; tickets for the drawing can be purchased at the museum’s admission desk for $20 through October 26. 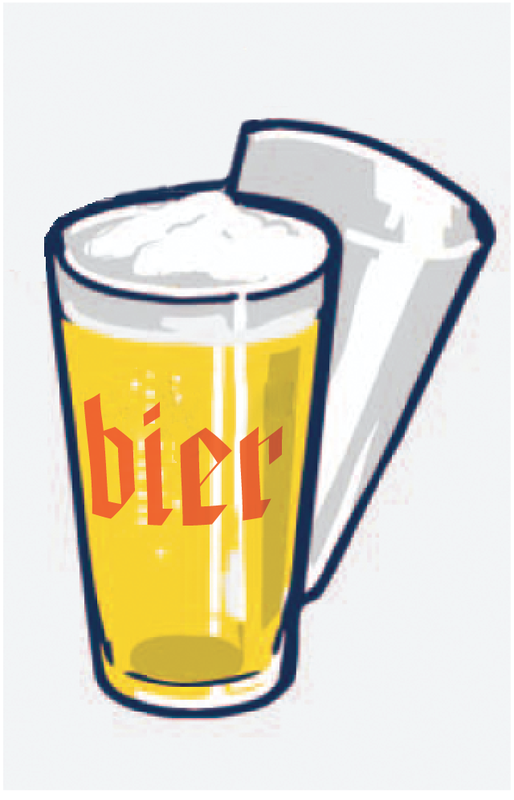 Guests will receive a tasting glass and four tickets to sample different beer varieties from Engine House No. 9 and the Harmon Brewery. Wine will also be available for sampling. In addition to the painted growlers, the MOG hot shop has created an assortment of hand-blown growlers that can be purchased for $150. Pint glasses hand painted by local artists will also be available for purchase. Reserve your space now – advance tickets at http://www.museumofglass.org. Must be 21 or older to attend. EMPTY BOWLS at Charles Wright Academy, Nov. 17, 2012 from 1-3:30 pm. VESSELS pre-fundraiser event Nov. 16, 2012 from 6-8:30 pm. Each year, local potters, woodworkers and glassblowers do an amazing trick: they create multitudes of bowls for the Emergency Food Network‘s (EFN) Empty Bowls event – and each dollar raised by a donated, hand-made bowl is transformed into $12 worth of fresh food for distribution in Pierce County food programs. This year, Empty Bowls takes place on Nov. 17; the night before, EFN will host a juried art show and auction called “Vessels” with proceeds also supporting this vital work. The challenge of obtaining food in our community is at an extraordinary level. If you are an artist, you may have a special talent that can make a difference in the lives of neighbors in need. 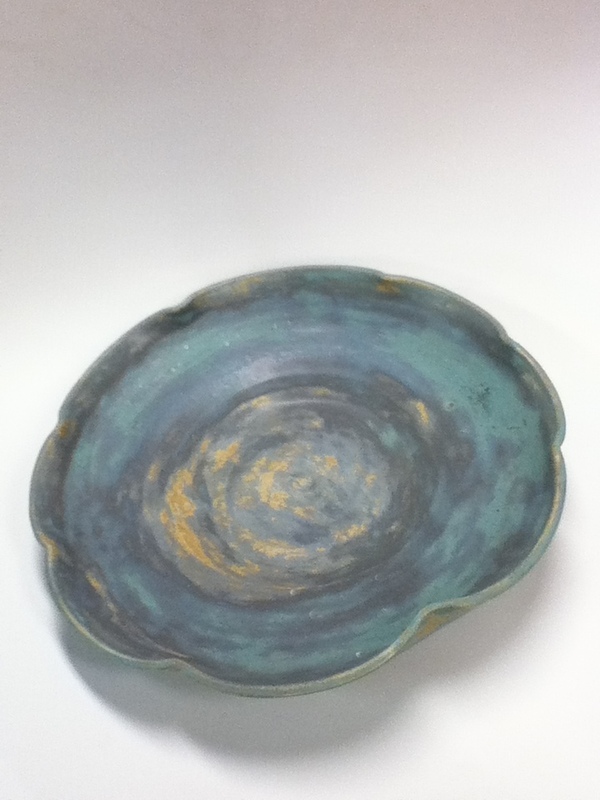 Empty Bowls will provide clay, studio space, firings and glazes for vessels – but they need you to make them! Please consider throwing a few bowls for this wonderful event. Together, we can fight hunger with art. Established in 1982, the Emergency Food Network provides more than 13 million pounds of healthy, nutritious food annually at no cost to over 65 food banks, hot meal sites and shelters for distribution to low-income families and individuals. With an administrative overhead of under 4%, EFN distributes $12 worth of food for every $1 received. “We are excellent stewards of the money,” says Executive Director Helen McGovern. Farm growers in WA, OR, CA and AZ donate tons of fresh produce annually to EFN, but the organization must cover freight costs.